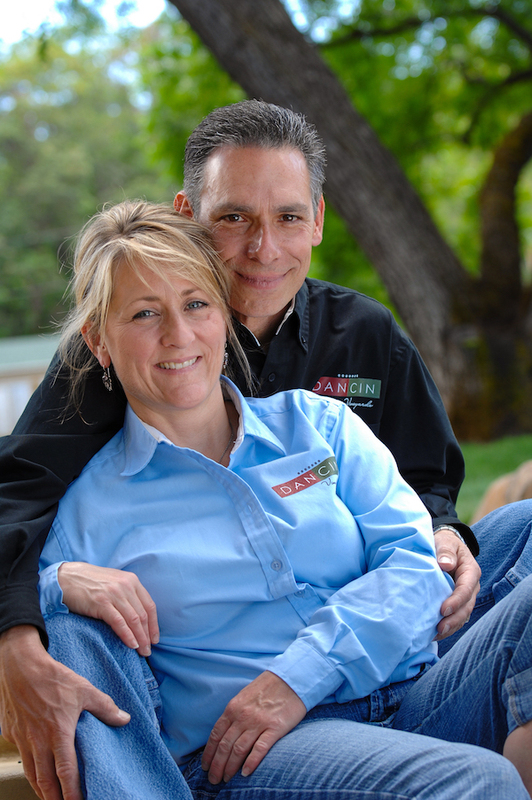 MEDFORD, Ore. – Opposites often attract, which explains how Dan and Cindy Marca of DANCIN Vineyards have combined to create a remarkable wine and food culture at their winery near historic Jacksonville, Ore.
His wine portfolio continues to attract the attention of judges along the West Coast. 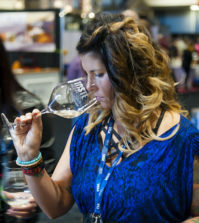 This year’s highlights include the DANCIN Vineyards 2014 Trata Pinot Noir, which earned a double gold at the San Francisco Chronicle Wine Competition, and a double gold for the 2014 Élevé Pinot Noir at the Cascadia Wine Competition, an international judging in Hood River, Ore. Both were early results from winemaker Brian Denner’s return harvest at DANCIN, a 2,500-case brand primarily focused on Burgundy varieties. Praise for the Trata, an assemblage of four clones grown on the estate, also continues to prove that Southern Oregon produces nationally acclaimed Pinot Noir. 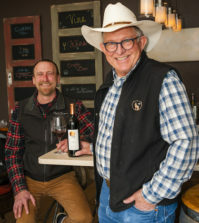 “I am very proud of our other wineries in the Rogue Valley and Southern Oregon where there had been some amazing awards for Tempranillo right now, but there’s some really good Pinot made here, too,” he said. Marca’s Type A, get-it-done and attention-to-detail personality seems to have served him well in his first career, operating a construction company in California’s capital city of Sacramento. 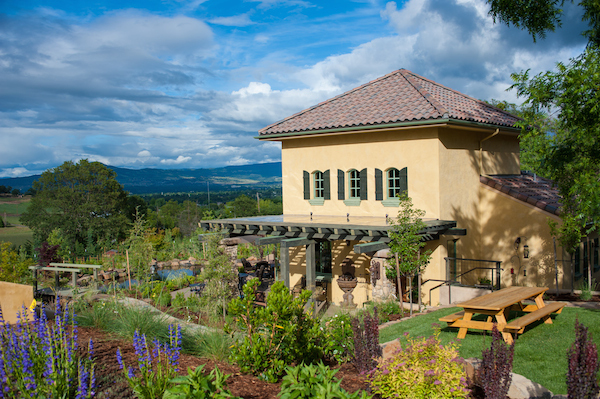 These days, that skill set, combined with Cindy’s delectable creativity and talent, also allowed them to create a scenic patio, tasting room and barrel room built into the hillside. There are a number of tasting rooms, vineyards and restaurants in Jacksonville, just a mile away, yet the Marcas offer guests the opportunity to experience all three at DANCIN Vineyards. “So we do the Pinot and then we also do the culinary side, so we have Dan and Cindy – they make up the brand DANCIN,” he said, explaining the origin of their business name. This year marks the 10th anniversary of their purchase of the Jacksonville-area property. And this month, the Marcas hired acclaimed regional chef Timothy Keller, formerly at The Jacksonville Inn and his own Firefly in Ashland, as DANCIN broadens its culinary program. In time, there could be a second generation involved for the Marcas. 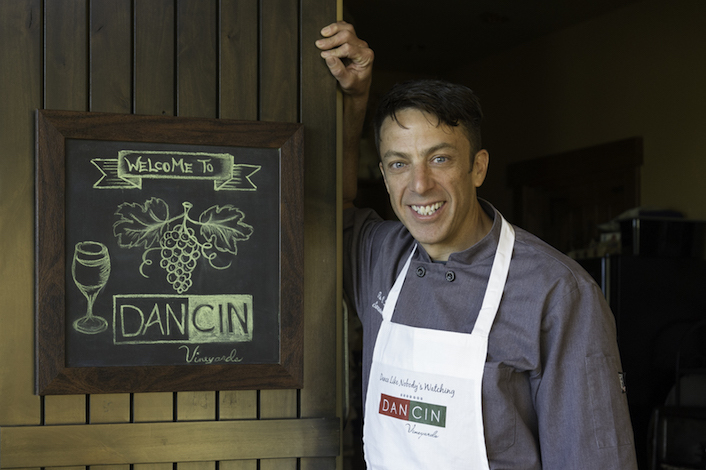 Their son, Austin, graduated this spring from the Culinary Institute of America in Napa, and he’s moved into the kitchen at DANCIN Vineyards. For decades, Southern Oregon has been known primarily for Crater Lake National Park, the Oregon Caves and the Oregon Shakespeare Festival. 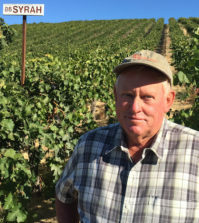 However, the emergence of the region’s farm-to-table movement helped lure the Marcas to Jacksonville, where they began preparing their vineyard in 2008 with help from Randy Gold, owner of Pacific Crest Vineyard Services in nearby Talent. Swiss-born photographer Peter Britt, one of Southern Oregon’s pioneers in the Applegate Valley, planted some of the first vines in the state in 1858. Pinot Noir is believed to have been among those he used to produce Oregon’s first commercial wines. The Marcas established seven clones of Pinot Noir across their 10-acre parcel along South Stage Road a mile east of Jacksonville. Planted are Dijon 777, Pommard, Dijon 115, Wadenswil 2A, Dijon 828, Dijon 667 and Dijon 114 – in addition to Chardonnay clones Robert Young 17, Dijon 76 and Wente 72. The aspect to their property, along with an elevation range of 1,710 – 1,960 feet, continues to serve them well under the sometimes searing sun of Southern Oregon. That array allows DANCIN to offer several different Chardonnay releases and nearly a dozen examples of Pinot Noir each year. There’s also the Tribute Red Wine, a blend of Barbera, Nebbiolo and Sangiovese that’s a tip of the cap to Dan’s Italian roots. In the vineyard are pennants that flutter with green and red – the colors of Italy’s flag. Marca grew up in a family with a heritage of wine and grape growing that stretches back to Sicily. And it turns out he and Cindy shared an interest in food and wine beginning in 1995. “It was a miracle how we met,” Dan said. “Basically, she was working at two restaurants in the same day, and a real estate agent had mentioned those very restaurants on the Monterey Peninsula as places to go and visit and have good food. A year later, both were taking viticulture classes at famed University of California-Davis. They continued their education in 1999 when they moved to Oregon, studying at both Chemeketa Community College and Oregon State University. Acclaim came early for the DANCIN Vineyards wines. 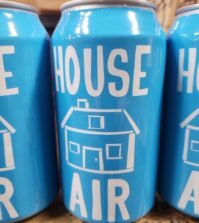 Many of them were developed by Eric Weisinger from nearby Ashland, and Linda Donovan at Pallet Wine Co., in Medford. However, Denner also produced their debut vintage of 2010 prior to moving onto Agate Ridge Vineyard in Eagle Point. He’s recently launched his own Simple Machine brand on the side. 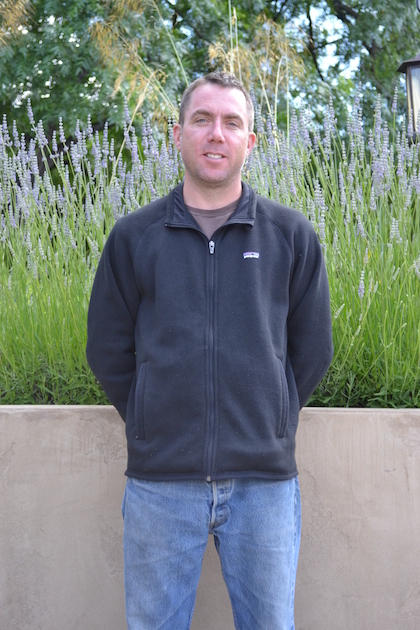 For Dan, the inspiration to create the ambiance surrounding DANCIN Vineyards began with family. The food-friendly angle to their wines lends them to the pizza, panini, stuffed mushrooms, fresh Caesar salads and semifreddo that Cindy – and now Keller – offer to guests at DANCIN Vineyards. Dan grew up in New Jersey where he worked in a delicatessen by the age of 10 and making pizza when he was 14. 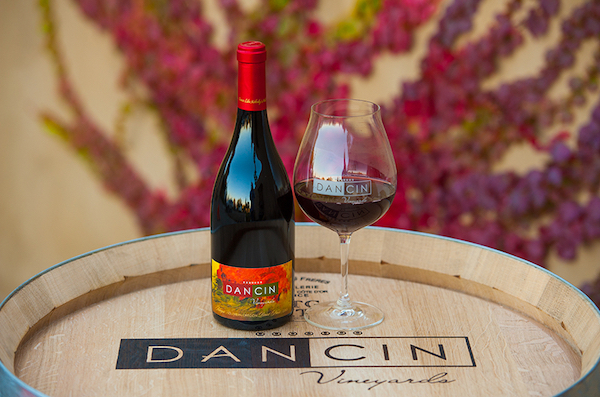 Their patio offers delicious views of Mount McLoughlin, the Table Rocks and the Rogue Valley, and that commitment to service seems to be working – prompting DANCIN Vineyards to stay open Thursday through Sunday year-round. “Jacksonville has really embraced us, as has Medford and Ashland and the whole Southern Oregon region,” he said. “We’re really thankful for that. Typically, we’re closed for at least a month, maybe sometimes more, but our locals and our visitors from out of town have supported us in this first season of being open in January.